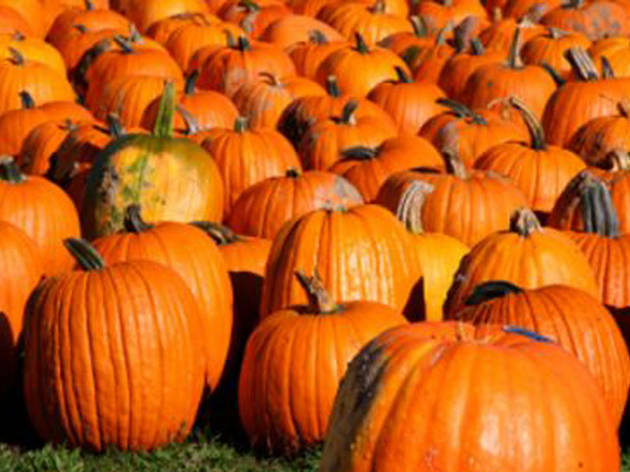 Scope out the best pumpkin patch NYC and the surrounding areas have to offer and grab yourself a gourd or two! Make the most out of fall with a cozy sweater, a cup of cocoa and a trip to uncover the best pumpkin picking NY—and the surrounding area—has to offer. It's go-time, friends! As the leaves change and the air cools, cravings for a cute Jack-o-lantern and gourd kick in. 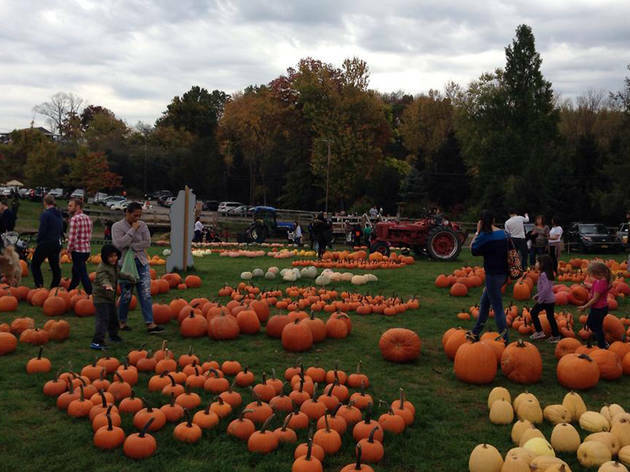 Bookmark the cutest pumpkin patch NYC and the surrounding areas have on the map and bring your family for a day of seasonal bliss. 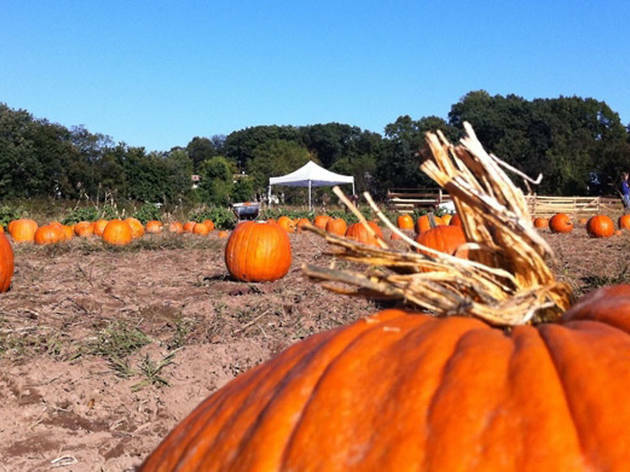 Even though pumpkin picking is available every day of the week, you’ll want to head to this Long Island farm on the weekends to really experience all that the venue has to offer. Kids can jump around in a pumpkin bounce house, giggle their way down a fire truck slide and face their fears in a haunted maze. When hunger strikes, munch on roasted corn and wash it all down with apple cider. The Fall Festival is a hit for all ages; kids can snack on treats after they ride the animal train while parents pick out the perfect MUMs or seasonal decorations. Farm admission free. Pumpkins priced by the pound. Staten Island’s Historic Richmond Town isn’t just a chance to head back in time—it’s also a great place to gear up for the autumn season. 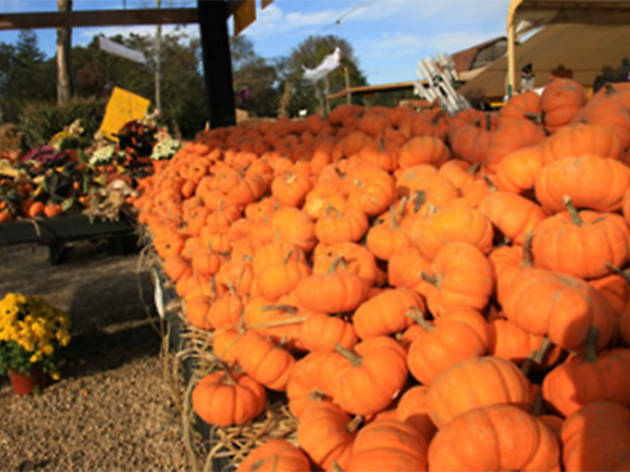 On weekends, families can take a free shuttle bus to the nearby farm and grab pumpkins to carve back home. Kids can also participate in hay rides, face painting, craft projects and the the whole can tackle the corn maze. Sounds like autumn paradise to us! Tickets $8, $6 ages 12–18, $5 ages 4–11. If you’re into pick-your-own fruits, then this Bergen County spot should be at the top of your list. Not only will pickers find peaches and apples, but plump pumpkins, too. The shop also sells pumpkin carving tools so little artists can go to town when they get home. 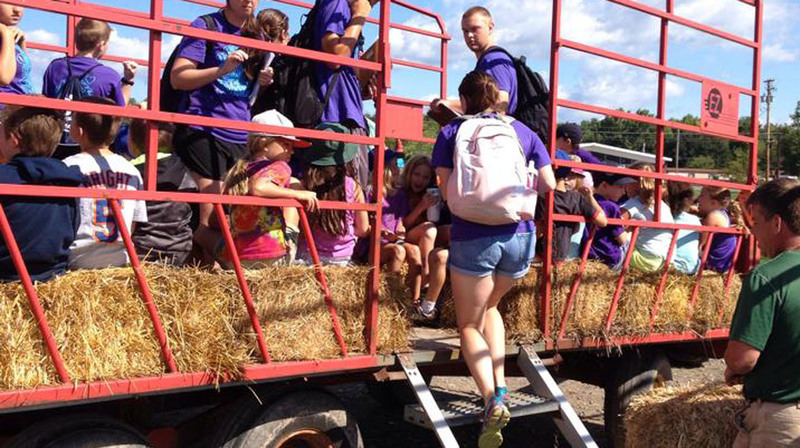 Families will love the hayrides, a corn maze and quality time with adorable farm animals. 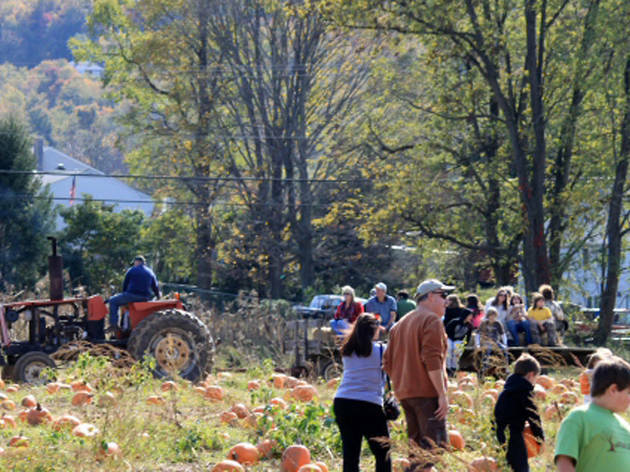 The farm also hosts Pumpkin Picking Movie Nights—a total plus during the Halloween season. Pumpkin picking $7 per person. 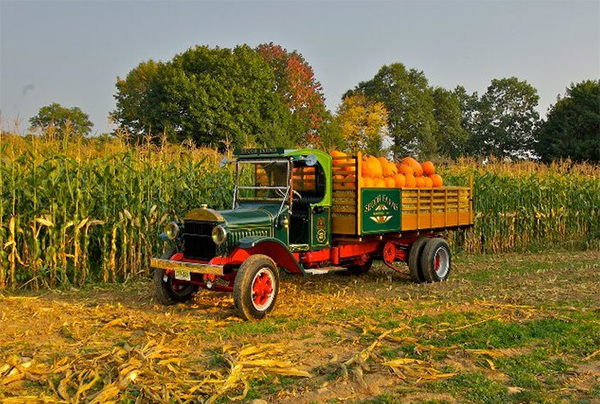 When October arrices, make sure to hop a free hayride into the fields to pluck a perfect pumpkin. If your crew is feeling extra festive, pick up some colorful Indian corn, gourds or squash to deck out the house. Drop by the children's tent for fun activities such as face painting and even corn pits. No need to tell us twice! Pumpkins priced by the pound. 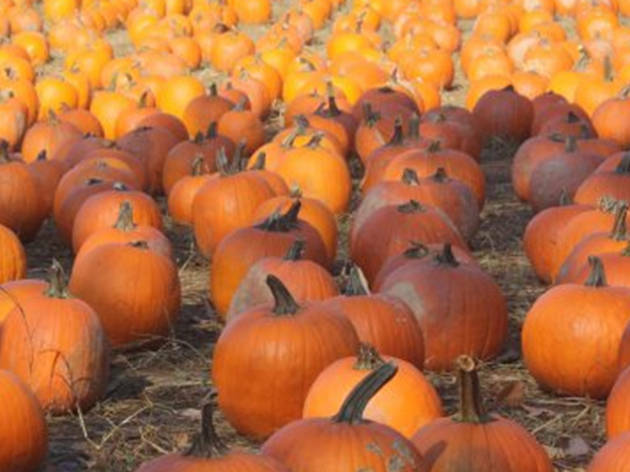 You don’t have to venture too far from home to pick your own pumpkins. At this conveniently located Huntington farm, pluck your future jack-o'-lanterns fresh from the vine. 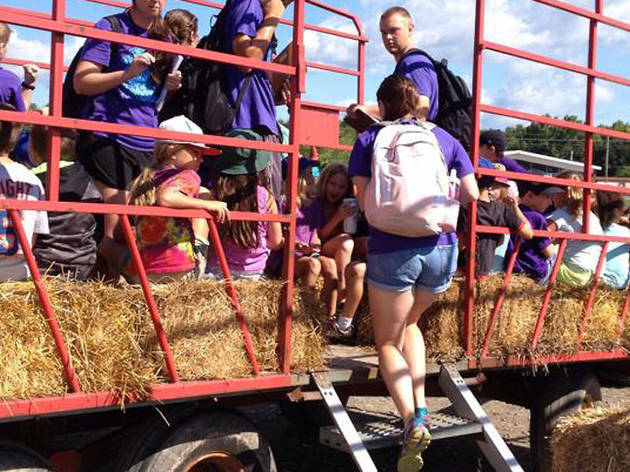 The corn maze and hayrides are fun, kid-friendly extras. Pumpkins are priced by size. This family-owned farm and greenhouse provides fresh flowers, produce and autumn décor to the West Essex area. The fall season is the most festive, with a sprawling pumpkin patch and a five-acre corn taking up residence on the grounds. Families can chow down on burgers and hot dogs washed down with cider (cold or hot mulled, depending on the weather) before enjoying hayrides or hitting up the “Play in the Hay” area in the greenhouse and outdoor barn with a climbing tour, logs to jump over and slides. 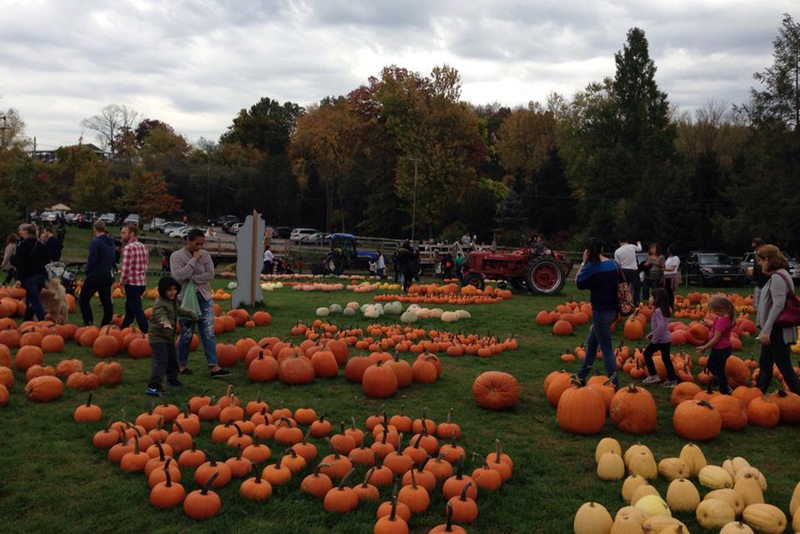 Free farm admission; pumpkins priced by the pound. At Fink's, families can pluck pumpkins right off the vine and buy produce by the pound or wheelbarrowful. 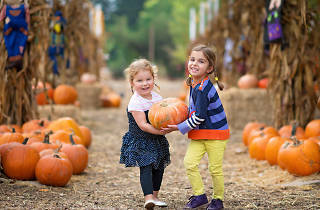 On weekends during the Fall Festival, the farm offers a barnyard, pony rides and hayrides, a kiddie train, a bounce house and a corn maze which can be navigated during the day, or if you're feeling brave, by flashlight after dark on select evenings. Spooky! If your little ones have a destructive side, let them blast produce out of the corn cannon or pumpkin slingshot. They'll LOVE it! 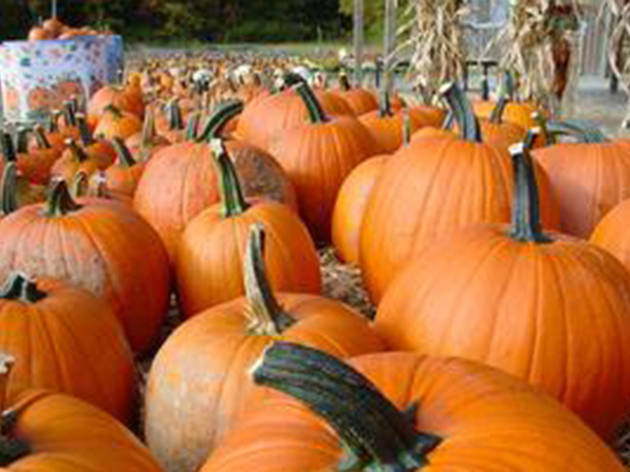 Fall Festival, $15, ages 3–16 $17, includes unlimited corn maze visits and hay rides. No matter the season, this farm and orchard is bustling. Families drop in for fun-filled events throughout the year, from an annual Easter egg hunt to Santa visits around the holidays. In autumn, this is a prime apple- and pumpkin-picking spot with fall festivals going on every weekend throughout the season. 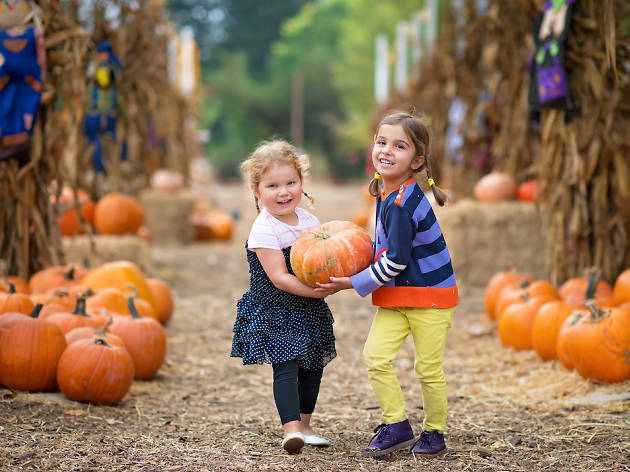 After selecting a pumpkin from the farm’s many varieties, shoot an apple cannon, enjoy live music, pony rides, hayrides and a bounce house and visit with the resident animals. Various prices. 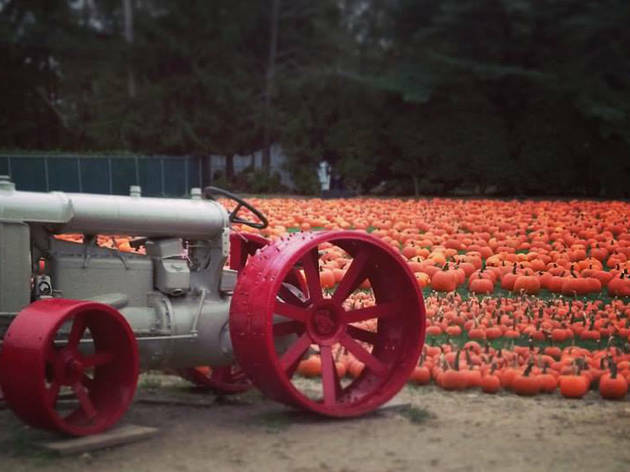 After a round of mini golf, pick your very own pumpkin from this farm’s patch. City kids can get a true taste of farm life by helping to milk a cow! There’s also a corn maze (for an additional fee), a petting zoo where tots can mingle with sheep and pigs and a jumping pillow that’s great for burning off extra energy before the car ride home. Various prices. This gorgeous farm in Bergen County has an impressive selection of flowers, produce and seasonal decor. Select a pristine pumpkin, then stock up on gourds, corn stalks and other decorations to spookify the house for Halloween. 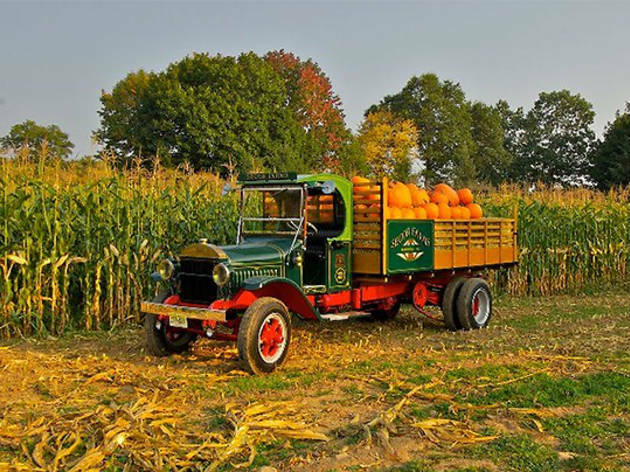 Hop on a hayride around the farm and past the pond, explore the corn maze, visit the animals at the petting zoo and play with toy tractors in the corn box. The family can even post up for a picnic at one of many tables (the farm serves food on weekends, or treats can be purchased at the market). Various prices.